Satire is necessary in electoral politics, but not all politicians should be clowns. Not long after Margaret Thatcher became Prime Minister in the UK the British political scene became considerably more interesting with the appearance of the Monster Raving Loony party in 1983, started by a not very convincing pop star called Screaming Lord Sutch. It has to be said that the party wasn’t terribly successful at winning votes and Sutch holds the rather dubious record of losing more than 40 elections (along with his deposit) during his political career. What the Monster Raving Loony party did rather better than attract votes was to satirise the whole political set-up and that’s never a bad thing in my opinion. Venezuela should try it sometime. We have a record 48 parties contesting the elections on May 8th, some of them obvious imitations of the Monster Raving Loony party. 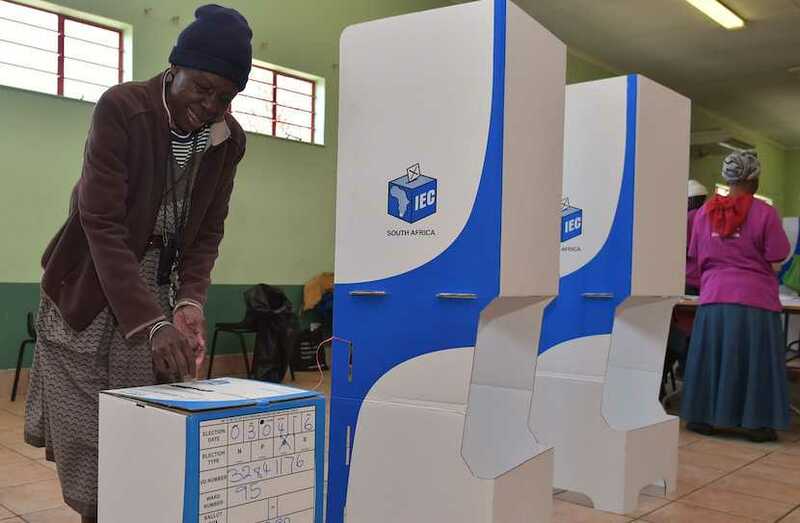 Bearing in mind that parties have to pay a R200,000 deposit to take part in national elections that’s probably the easiest R9.6m the Independent Electoral Commission will ever make. First past the finishing post in the Loony Party Handicap Stakes has to be Hlaudi Motsoeneng’s African Content Movement closely followed by Andile Mngxitama’s Black First Land First (BLF) with Jimmy Manyi’s African Transformation Movement galloping in at third place. Motsoeneng was the genius who brought the SABC to its knees but his enthusiasm for local content remains undiminished. The party is determined that South Africans only buy goods with a 90% African content so you can wave goodbye to smart phones, flat screen TV’s and motor vehicles should they wrest power from the ANC. The BLF manage to combine extreme looniness with a rather chilling nastiness. It’s leader, the diminutive Andile Mngxitama, has warned that if the party doesn’t get enough votes to run the country then “we’ll have problems”. Echoing Frank Sinatra he promised that if the party doesn’t get elected to parliament then “we’ll do it our way” suggesting that it may be necessary to resort to violence to make people see sense. Apparently Andile went off to sign the code of conduct recognising SA as a democratic state after uttering these threats but it is perfectly feasible that he hadn’t a clue what he was signing at the time. Then there’s dear old Jimmy Manyi who has hitched his wagon to that powerful locomotive, the quasi religious African Transformation Party. Jimmy holds something of a world record among media moguls for the shortest stint in the job. You will remember that he acquired The New Age and ANN7 from the Guptas through the rather unusual method of “vendor funding”. This is when the seller apparently gives you the money to buy the asset (sic) that he is selling. I daresay this unnerved old Rupert Murdoch but his fears were unfounded because Jimmy’s media empire collapsed within months. Jimmy is best known for keeping very dubious company (and not liking being called Jimmy) but he’s always good for a laugh. I expressed the thought to a friend of mine that it might be a good idea if there were some sort of mandatory intelligence test which could be applied before anybody was allowed to stand for parliament. “That would put at least 70% of the current ANC cabinet out of work” he replied. So it was with some sense of relief that I noted the launch of the Capitalist Party (ZACP) two weeks ago. Now I don’t think the ZACP expect to be running the country after May 8 but their ten guiding principles make such good sense that they deserve an X on the ballot paper in the hope that some of them become parliamentarians. Liberty…well who wouldn’t want liberty but it’s gradually being eroded under the current administration. Individual rights before group rights…that means putting the country’s interests ahead of party interests. Something the ANC find ridiculous. Tolerance and absolute protection of freedom of expression…and presumably not just for Julius and Andile? Private property rights protected by law…As I’ve remarked many times, the Almighty gave us Zimbabwe as a warning. Destroy property rights and you destroy everything. Rule of law…for everybody and no tinkering with the prosecution services and the legislature to keep your cronies out of jail. Right to work…assuming that what is left of the economy after the ANC have finished with it has any jobs to offer. The right to be secure on your own property and to defend yourself against intruders…see item 9 below. Free markets and international free trade based on enlightened self interest…this won’t please the lefties who think state ownership is the answer. Cast your eyes to Venezuela comrades or even to the UK in the 1970’s under the Labour party. Not many people remember that the UK had to be bailed out by the International Monetary Fund in 1976 after a series of disastrous policies. Firearms for self defence…completely unnecessary in less violent parts of the world where you can rely on the police to arrive within minutes. Unfortunately we don’t have that luxury so if you pass sensibly applied competency tests then of course you should be allowed a firearm for self defence. Spontaneous order and Civil society…once you allow people to throw excrement in public places and have cowering university vice chancellors toyi-toying with campus vandals you are already putting the official seal of approval on anarchy. Peaceful demonstrations are part of the democratic process, even if tempers flare on occasions. Violent demonstrations such as we have seen in Paris these past three months are very bad for business. What is most impressive about the ZACP is that, unlike other parties, none of the ten candidates the party is putting forward are unemployed and looking for a nice cushy, well paid job with lots of perks in the National Assembly. They are all intelligent, articulate and successful in their own areas of activity and have, for some extraordinary reason, decided to give their talents and sacrifice their rights to privacy to serve their country. I’m very pleased that they have and that alone makes them very special and worthy of your vote.